If you’re a writer who is stuck and uncertain about how to get moving again, you’re in the right place. My goal is to help you take charge of your writing life, deal with resistance, finish your projects and make more out of your writing dreams. I believe that when there is a story we are called to tell, responding to that call is pretty much a moral imperative. I believe someone out there needs what you have to say. And I want to help you answer the call, however faintly you hear it right now. Through my process of one-on-one sessions, personal road maps, follow up, and accountability systems, I help you reconnect with your work-in-progress and cultivate the habits that enable you to get your story written. You’ll get the support, direction, strategies and inspiration you need to immediately improve your writing life. Plus you'll get to experience first hand why my clients say my accountability system is magic. If you're curious about having your own personal writing coach, contact me. I'll be happy to answer all your questions! 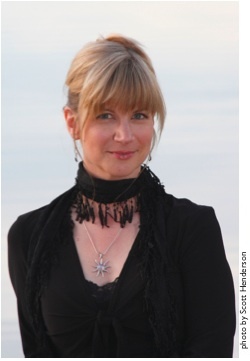 Suzanne Harris is a writing coach, writer, and editor living in Edmonton, Alberta, Canada. She comes to coaching with over 30 years of writing life that has stretched from the highly organized, business-minded, deadline-driven world of public relations to the unstructured, playful, open-ended world of the creative. She has produced a broad variety of written work including speeches, media releases, brochures, technical manuals, annual reports, magazine articles, fiction, and poetry. Her creative work has been broadcast on radio and published in magazines, anthologies and e-zines. Suzanne served as president of the Canadian Authors Association Alberta Branch 2005-2007; as chair of the Marketing and Communications Committee on the national board of the Canadian Authors Association 2007-2008; and was the coordinator of CanWrite! 2008, a national writing conference. Suzanne has been a working writing coach since 2009, making her one of the pioneers of writing coaching in Canada. She continues trailblazing in her role this year as the first ever Coach-in-Residence for the Canadian Authors Association. In 2010 she founded olivewood&laurel retreats, fulfilling her longtime dream of creating a magical and inspiring writers’ retreat in Greece.